Lightweight, 100 % polyester open weave mesh. Two vertical and one horizontal 2" wide reflective stripes on both front and back. Two inside right and left inside front pockets. Available in Large and X-Large. 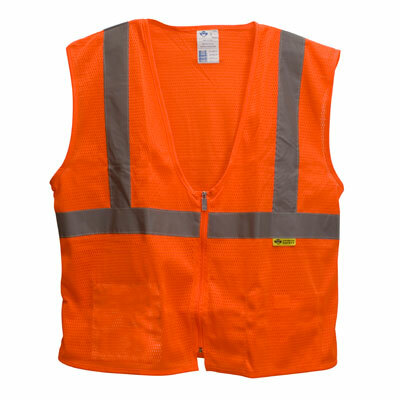 Hi-Viz safety orange.